I used to post up FabKid Lit for no reason other than I thought it was fun. I still think it’s fun. So I’m channeling my inner Gretchen Rubin-she writes all sorts of lists for no other reason than she thinks it’s fun. Besides, not every kid book is awesome-I promise these are. So even if just one person on the entire inter-web finds a great book on these lists, well-what more could a dilettante children’s lit critic ask for? 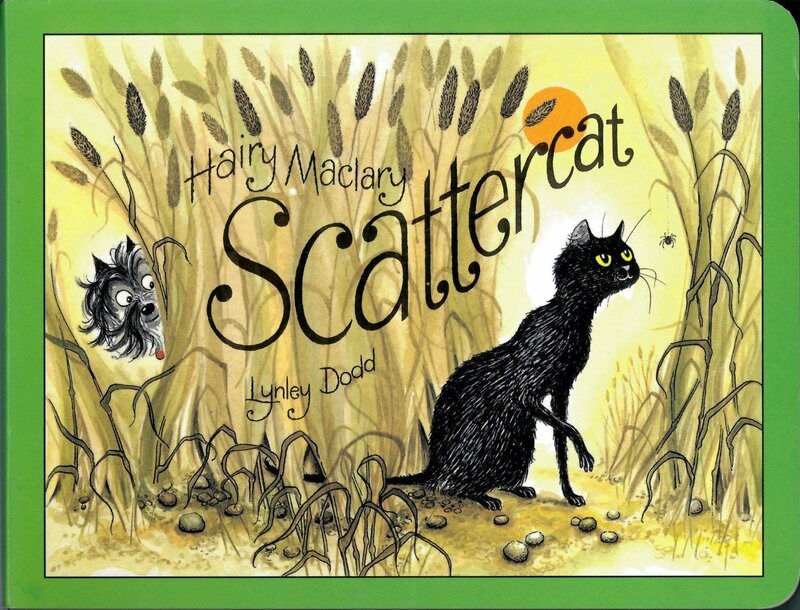 Hairy Maclary Scattercat by Lynley Dodd is probably the best book ever written. A three-year-old’s idea of hilarity is pretty much encompassed inside this book. The dog hides, the cat is unsuspecting-you know the rest. The delight on a preschooler’s face is worth the price of admission. When I’m an old woman, I will sneak this book out of the closet and reread it just for the memory of that small, beaming face. 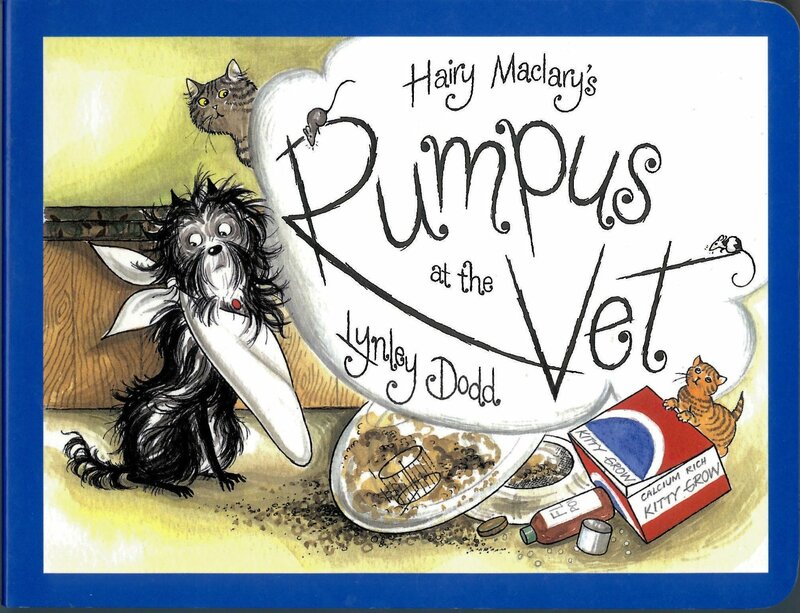 Hairy Maclary’s Rumpus at the Vet by Lynley Dodd is next in line for the best book to capture a preschooler’s understanding of silliness. This book is like a mini Three’s Company episode and if you don’t know what that is, that’s ok. Just take my word for it, in fact, you don’t even have to take my word for it, the word ‘Rumpus’ is in the title. That should be enough to sell you on this book. It is a rumpus started by a naughty cockatoo in the vet’s waiting room. Giggles will ensue. 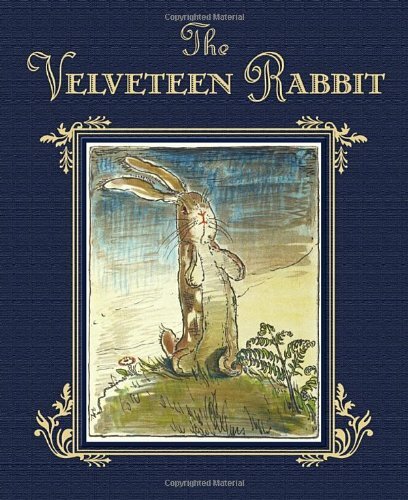 The Velveteen Rabbit by Margery Williams is a beautifully melancholy classic. It’s probably more suitable for a five year old’s grasp of the world. It opens the conversation of impermanence through an anthropomorphized bunny. It’s never too early though to begin to understand we all have to say goodbye to so much in life so often. 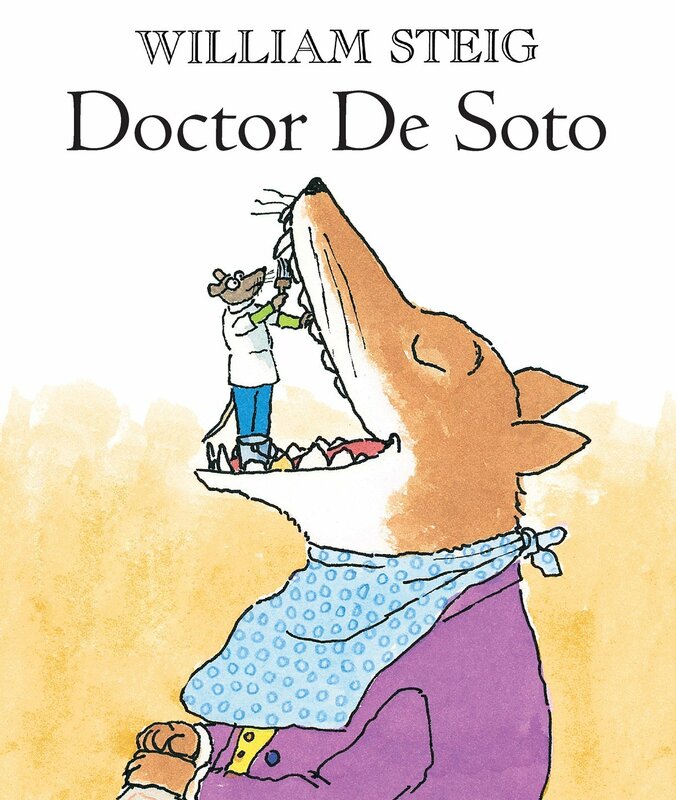 Doctor DeSoto by William Steig is a story of survival, yet also of kindness. If they say altruism is an unnecessary trait in the harsh reality of evolution-Dr. De Soto offers a different approach. He’s altruistic but smart enough to know the true nature of his adversaries. He helps but keeps himself protected-a lesson for the ages. Again- maybe better suited to a five-year-old, but it’s never too early to cultivate a child’s inner scrappiness. 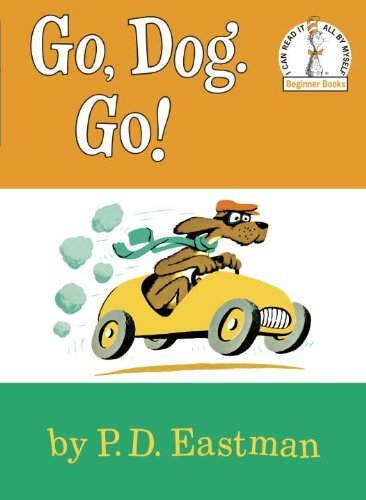 Go Dog Go by P.D. Eastman is a fantastic early reader. The pictures depict the words so an almost four-year-old gets a confidence boost as they grasp their meanings. Our nephew told us it was the very first book he could read all by himself. Well done there. 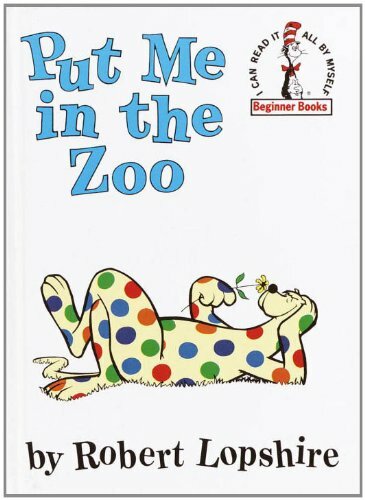 Put Me in A Zoo by Robert Lopshire is a silly, rhyming fun. This crazy animal can do all sorts of fun things with all his spots. They make him seem magical. It’s nice to end the day with a little magic. 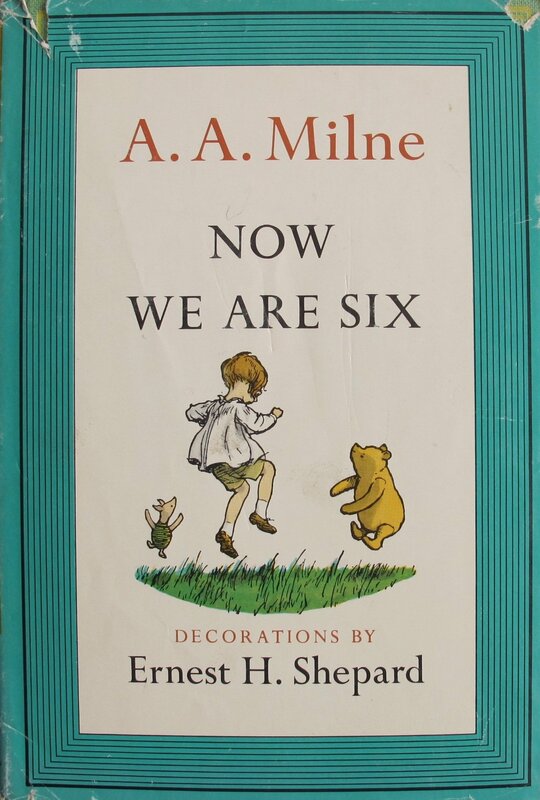 Now We Are Six by A.A. Milne is-well-what is it? Perfect? Classic? Peerless? Timeless? My grandmother read this collection of poems to my mother and my uncle. My mother read it to me. My uncle recently asked me if I could remember all the words to the King of Peru (who was Emperor too) and I could. So when I heard my son-at only three years old-say to himself one morning, “He would whisper and whisper until he felt crisper…” I beamed. I know AA Milne had other plans as a writer that didn’t work out, and I’m sorry about that-really, but what would childhood (or life for that matter) be without Christopher Robin and Pooh? 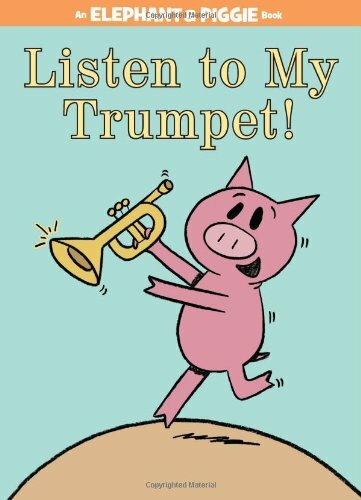 Listen to My Trumpet! by Mo Willems is just classic Mo Willems. Even the title makes me giggle. All of the Elephant and Piggie titles make me giggle. There’s a Bird on Your Head! I’m Invited to a Party! Pigs Make Me Sneeze! The man is a living, breathing example that intelligence is the ability to distill broad ideas down to their barest essence. And he’s still funny! He’s a master. The BFG by Roald Dahl is terrifying. They say Steven Spielberg is going to make a movie out of it-that’s how terrifying it is. Honestly it is so scary I don’t know how Roald Dahl ever got away with it. I guess it helps he’s simply a genius and has no equal in his ability to weave the most outrageous tales. 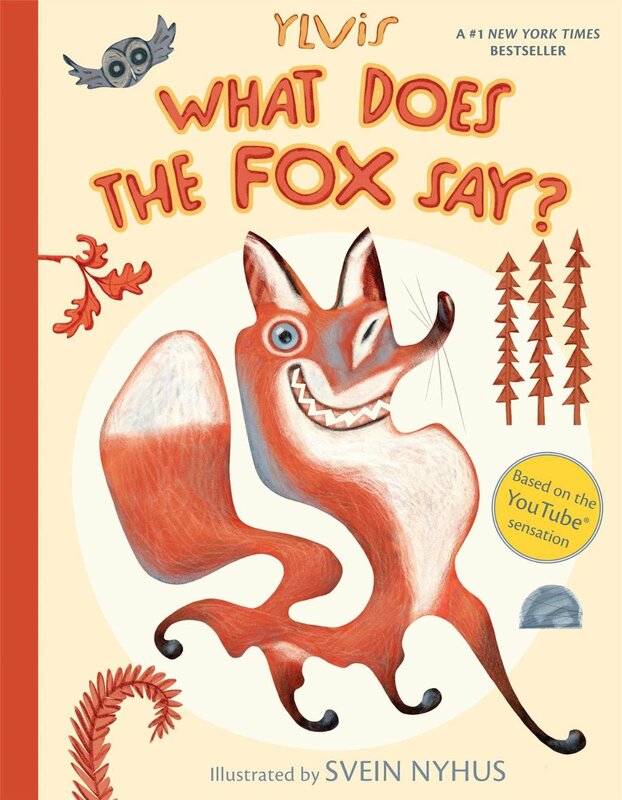 As scary as it is and as suited to seven year olds rather than three year olds, we couldn’t put it down. 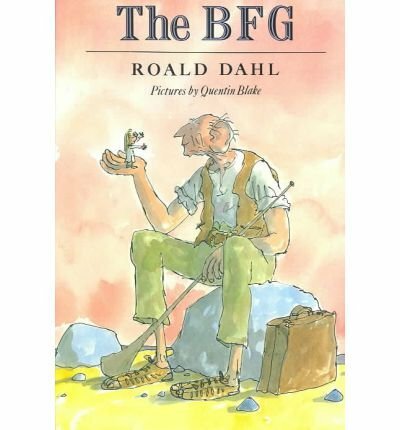 The BFG is a Big Friendly Giant who helps save the world. If you like to read stories in crazy voices and maybe want to catch a glimpse of the Queen of England, you will love this book. 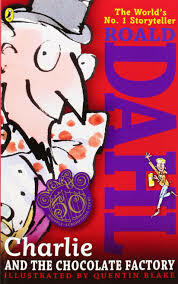 Charlie and the Chocolate Factory by Roald Dahl-well, it’s the winner isn’t it? 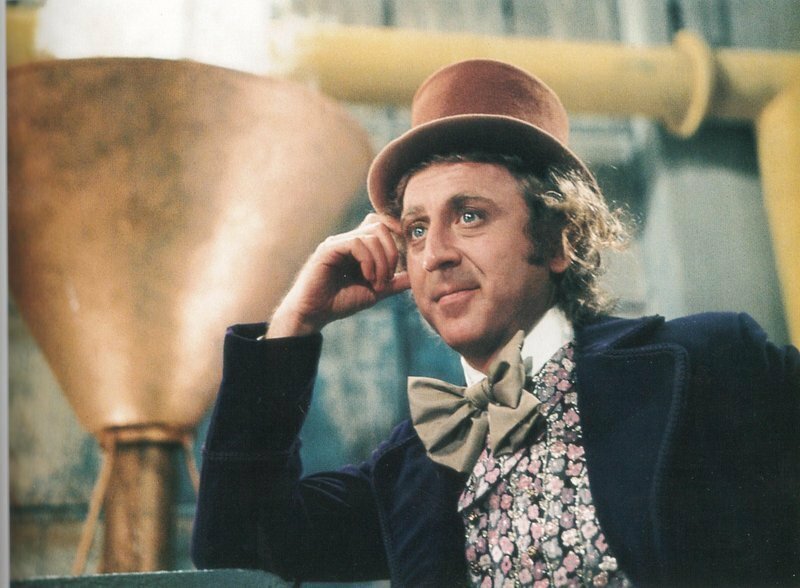 I didn’t read this story as a kid and I missed Gene Wilder’s version of the eccentric candy maker, but that made it all the more delightful to experience for the first time with our son. On the cusp of four years old, he was enraptured. We read it two or maybe even three times in a row. I don’t know how many times we watched the movie. There was a little hiding behind couches when Augustus Gloop and Violet Beauregarde received their just desserts, but that’s ok. All we have to say is, “Pardon me, Veruca Salt?” when he’s acting a little princely and he backpedals it right up.